The state of Himachal Pradesh is agro-climatically endowed to cultivate almost all important temperate and sub tropical fruits. 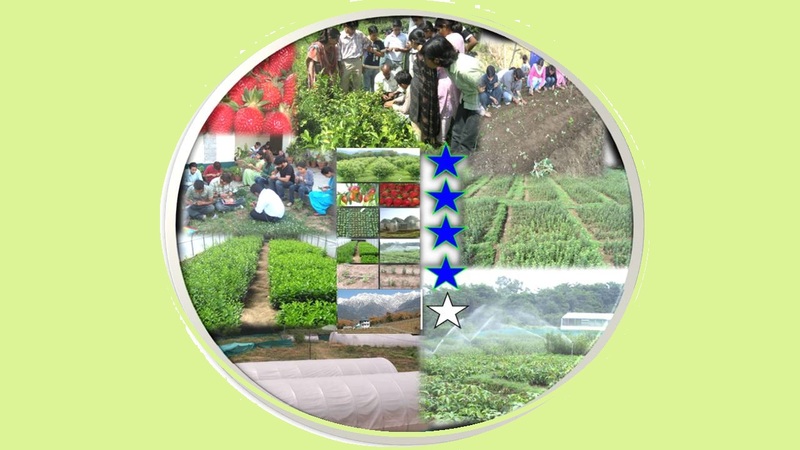 Improvement in hill horticulture largely depends upon proper management of land, water, improved varieties, control of insects-pests, regulated marketing and post harvest losses, timeliness of operation and precision in application of inputs, to achieve a high level of production. As a consequence, pattern from traditional low value to high value cash crops is visible in the state during the last four decades and the state has witnessed tremendous increase in area and production of horticultural crops. The department of Horticulture, CSKHPKV, Palampur came into existence with the inception of College of Agriculture in 1966. Prior to the establishment of Dr. Y.S. Parmar University of Horticulture & Forestry, Solan, UG and PG teaching as well as research and extension activities in this part of the state were being conducted in this department. Presently, the department offers courses at undergraduate level leading to B.Sc. (Agri) degree, B.Sc. (Home Science) degree and postgraduate courses as minor for PG students of different disciplines in the university. The department is also actively engaged in the scientific development of fruit industry in the lower hills and valley areas of Himachal Pradesh with special emphasis on Pecan nut, Kiwi, Strawberry, stone fruits and Sub-tropical fruits.